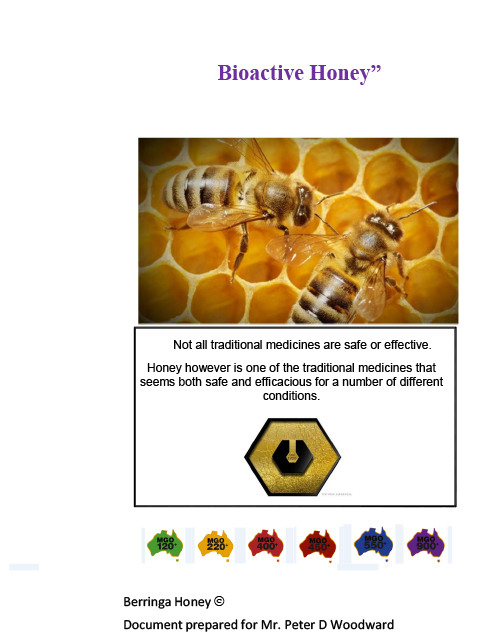 This website gives you some information about the wonderful world of 100% Australian Honey. Where it comes from, what it does and why Berringa’s 100% Australian Honey is so special. 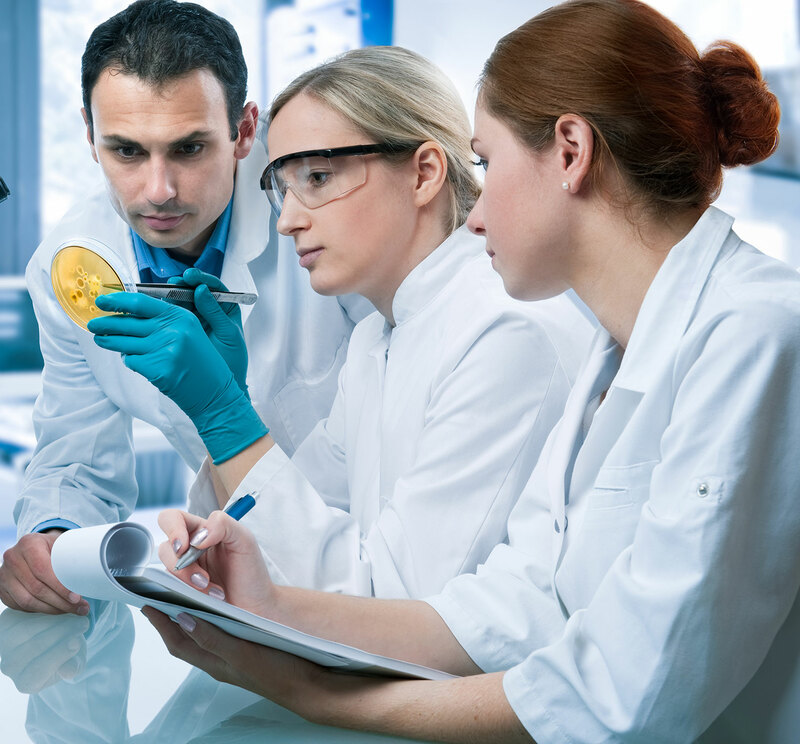 We are also committed to research and development by world leading scientists to help with product education, investigation and validation. If you really want to know more about the science behind honey, below we have listed various scientific references – a list we’re constantly adding to as the world of science illuminates more and more about the powerful properties of honey. Honey is well-known for its wound healing and antimicrobial properties. The bioactivity of the honey is dependent on many factors including the geographical location and the floral source from which the honey is derived. Berringa honey from Leptospermum polygalifolium is known for its antimicrobial properties associated with the presence of a naturally occurring compound, Methylglyoxal (MGO). Historically, silver also has been used for medicinal purposes and silver-impregnated dressings are used extensively in the care of chronic wounds. Some studies have demonstrated cytotoxicity of silver in wound repair and natural antimicrobials are being sought as alternative topical wound treatments to silver. This report investigates the correlation between the antimicrobial activity and the non-peroxide activity of particular Leptospermum-derived honeys. Initial investigations tested the efficacy of these honeys against one particular bacteria (Staphylococcus aureus), while later studies assessed the effect of this honey on a range of food pathogens, animal pathogens (e.g. in mastitis) and human pathogens (e.g. golden Staph). Using honeys sourced from around Australia and screened against several reference microorganisms, the anti-microbial potency of one particular Australian honey (from Leptospermum polygalifolium) was shown to be comparable to NZ Manuka honey (from L.scoparium). The results of this screening of active honeys against pathogenic bacteria has supported the registration of honey as a “Drug” with the Therapeutic Good Administration based on its antimicrobial activity. To view source documents at RIRDC follow this link: https://rirdc.infoservices.com.au/downloads/05-159.pdf. The objective of this study was to compare the in vitro antimicrobial activity of Berringa honey and silver when tested against Psuedomonas aeruginosa and methicillin-resistant Staphylococcus aureus (MRSA) cultures. 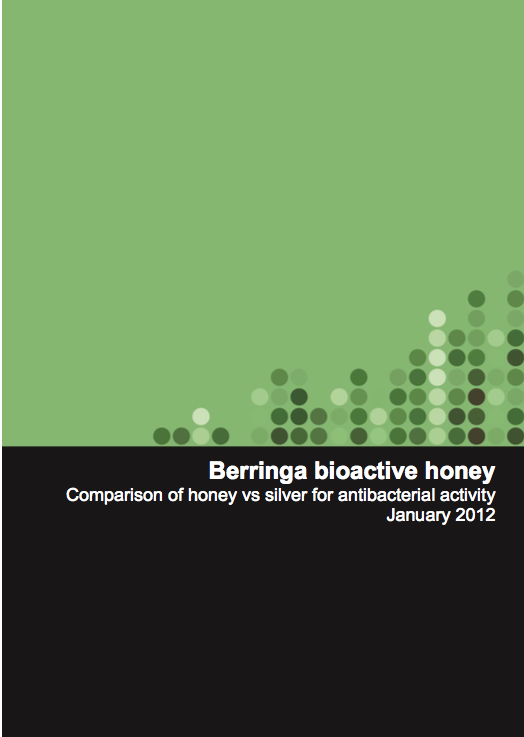 Honey, silver and oxytetracycline are able to completely inhibit the growth of P.aeruginosa and MRSA cultures. A higher percentage of honey (12–19%) is required to inhibit the Gram-negative bacteria P.aeruginosa while a lower concentration (2.6-6.3%) was required to inhibit the Gram-positive bacteria MRSA. Honeys with the higher MGO values were more effective in inhibiting both bacteria. The concentration of the silver and oxytetracycline required to inhibit these cultures were much lower than the concentration of honey because they were pure compounds. The active compounds in honey (such as Methylglyoxal) are present in the matrix of honey and a more concentrated honey would be required for complete inhibition. Summary: To be considered bioactive, honey should be analysed for its chemical composition by a suitably certified laboratory (e.g. NATA – National Association of Testing Authorities). Bioactive honey is a long overdue development that may assist in the treatment of antibiotic resistant microorganisms and chronic wound infections. Public Health organisations are investigating alternative antimicrobial strategies to fight this alarming increasing trend, especially as there are no new emerging antibiotic drugs. Bioactive honey’s role is exciting in this development as there has been no recorded microbial resistance to Manuka honey. This paper compiles bioactive honey’s known affects against Staphylococcus aureus, Staphylococcus epidermidis, Enterococcus faecium, Escherichia coli, Pseudomonas aeruginosa, Enterobacter cloacae, Klebsiella oxytoca and more.